Home / Latest TBV News / Greta West’s Autumn prospects, ticking along nicely! Greta West’s Autumn prospects, ticking along nicely! Trainer Greg Eurell labelled Clarice Cliffs a stakes prospect following her record-breaking victory at Pakenham last Thursday. 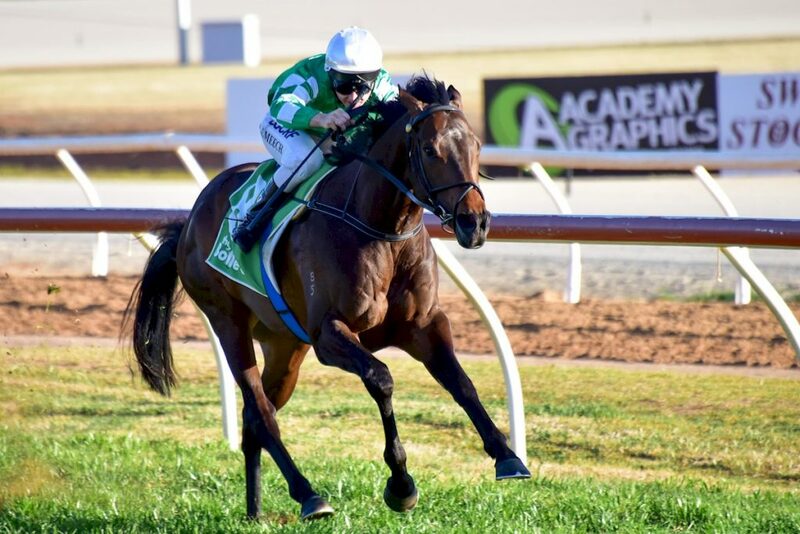 The Greta West Stud-bred mare accelerated to a six-length victory in the Nine Mile Fresh Handicap over 1200 metres and clocked 1.10.60s which lowered the old track-record held by Second Marriage. “I was confident she would win but I didn’t expect anything like that!” Eurell claimed. Clarice Cliffs (Canford Cliffs) won on debut at Sale earlier this season for Hancox Bloodstock and has returned from a spring spell with front-running exhibitions at Geelong and Pakenham. “She was underdone at Geelong but was still very impressive,” winning jockey Nikita Beriman recalled. Clarice Cliffs was bred by Greta West studmaster Laurie McCarthy and is the first foal from No Vanity (Keep The Faith). Her second is the Gerald Maloney trained 3 year-old Solomon (Street Boss) who won a Cranbourne trial last week. He has been nominated to race first-up at Warrnambool this Thursday. No Vanity has a 2 year-old filly named No Puzzle (Canford Cliffs), a yearling filly by Stryker, a colt on the ground by Toronado and she’s back in foal to Magnus. There’s more black-type on the horizon for Greta West starting with Le Romain who has been nominated to take on Winx again in the Group 2 Apollo Stakes at Randwick this Saturday. He was reared at Greta West and has already been a Group 1 runner-up to the champion mare twice in Sydney. 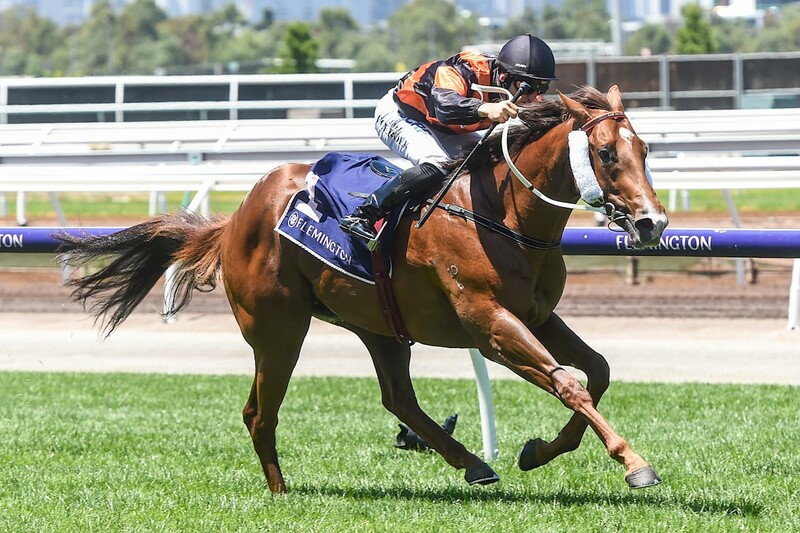 Greta West-bred 2 year-old colt Free Of Debt will target the Group 1 Blue Diamond Stakes at Caulfield on February 23 and Yulong January is being set for the Group 1 Australian Guineas at Flemington on March 2. Yulong January is a 3 year-old son of Greta West sire King Of Prussia and is ready to resume after a midfield finish in that Cranbourne trial won by Solomon. “He’s ticking along nicely,” co-trainer Ciaron Maher reported. EARLIER POST: Let the Showdown begin!